JC and I were up and out early on July 4th for our much anticipated trip to Montana and Idaho. 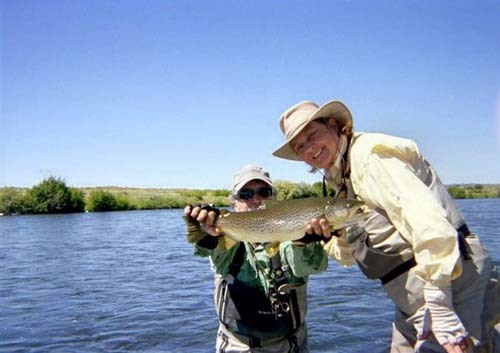 There is much excitement about driving across the desert when you are returning to favorite places where you will see old friends, fish familiar waters and hope to catch a few fish as we drift down the River. We reached The Backcountry angler in good time on the 5th to prepare for 4 days of fishing. We were excited to learn that we would be able to fish high up on The Big Hole due to lots of water in the system. In two days we caught brook trout, rainbows, browns and even a grayling. It was sooo beautiful. Then it was to my favorite place where I return year after year, The Beaverhead River! We couldn't believe how plentiful healthy and robust the rainbows and browns were. Sometimes I wonder why I don't just stay and fish there for a week. 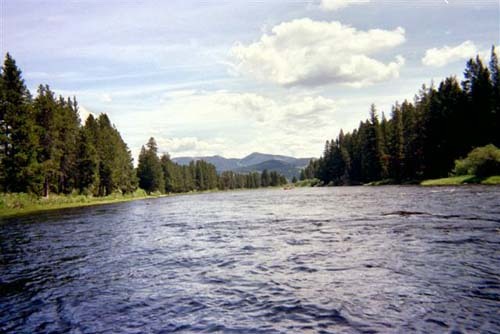 But then I would miss the Henry's Fork in Idaho and that would be a tragedy. We reluctantly left our friends Tom and Mary Smith. We look forward to seeing them in February at the Pleasanton Fly Fishing show. Nice drive to Island Park via the Galletin River Highway. Still limited fishing there due to high water. The Madison only opened the first week in July due to high water conditions. This is the first time in 10 years there has been an abundance of snow melt. Nice homecoming at Henry's Fork Anglers. Old friends in the shop, with good fishing reports. How would we know that Curt would turn us on to the most exhilarating day floating from Ashton to Chester? There wasn't a small fish in the net. It just kept getting better and better. We figure we had at least 150 inches of fish between us. Between JC and I we caught 5 significant rainbows and browns. It was great and got even better when JC cast to a tight spot and the biggest brown was on the line. The photo is the proof! We were almost embarrassed in the shop the next day because we were quite the buzz. 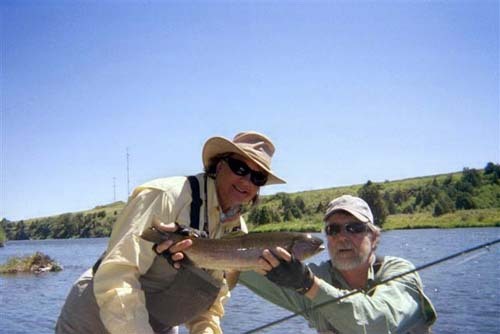 We fished a day on SouthFork and it was a little crowded, our mistake for not figuring on the high boat traffic. Then we spent a day in the Box Canyon. This is always a particularly nice stretch of water. The fish tend to be on the smaller side but there are plenty of them. Our friend Dom put us on plenty of fish. It was the end to a great week of fishing. Hope you enjoyed the tale of our vacation. I look forward to hearing some of your adventures.